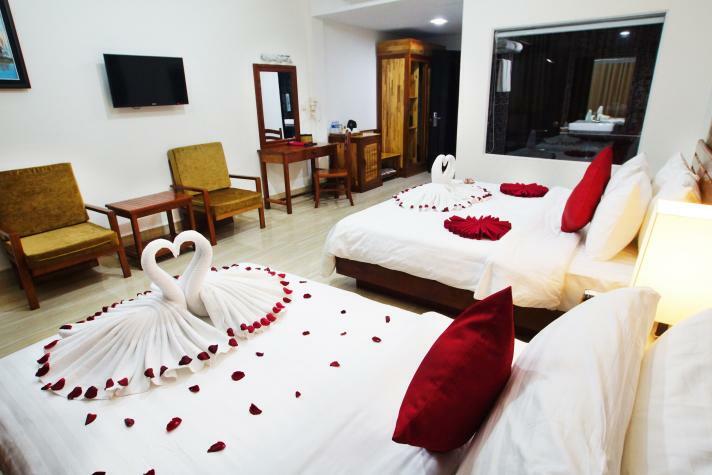 For your ultimate stay in Siem Reap, the Dinata Angkor Boutique Hotel features 28 spacious, clean, and comfortable rooms. 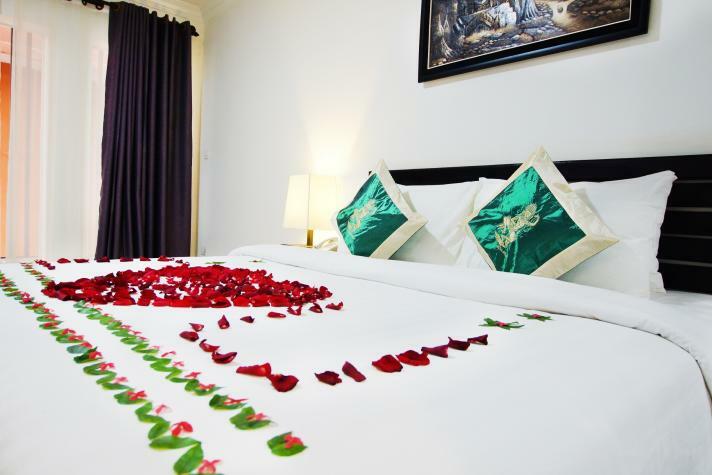 We offer both Deluxe Pool View and City View rooms, each of which are beautifully decorated with modern Cambodian style. 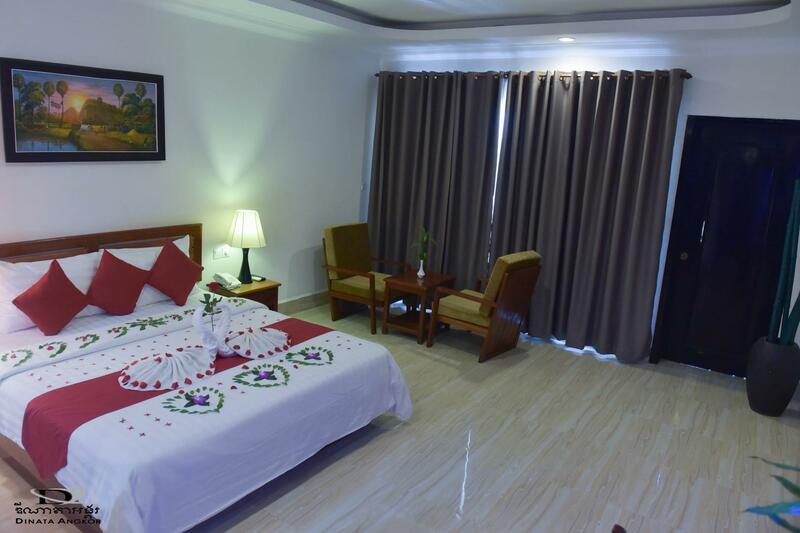 All of our rooms are equipped with modern amenities for your convenience and comfort. 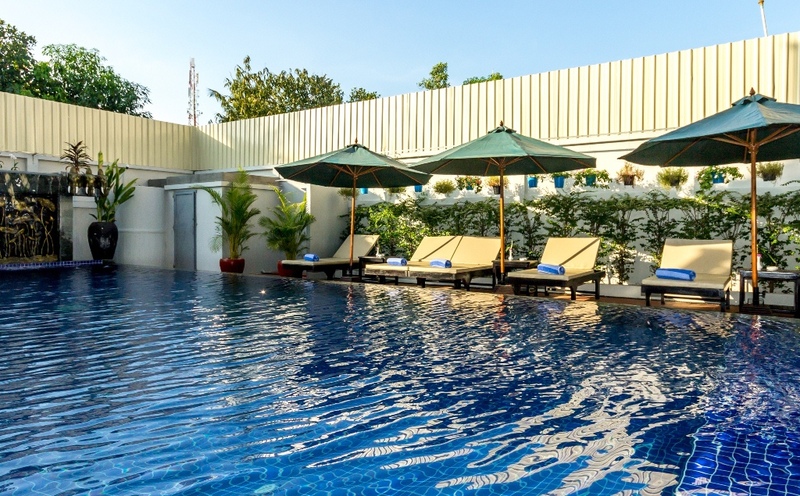 Complete with a poolside bar, the beautiful swimming pool area provides the perfect place for our guests to relax after a long day of visiting Siem Reap's world-famous temples. 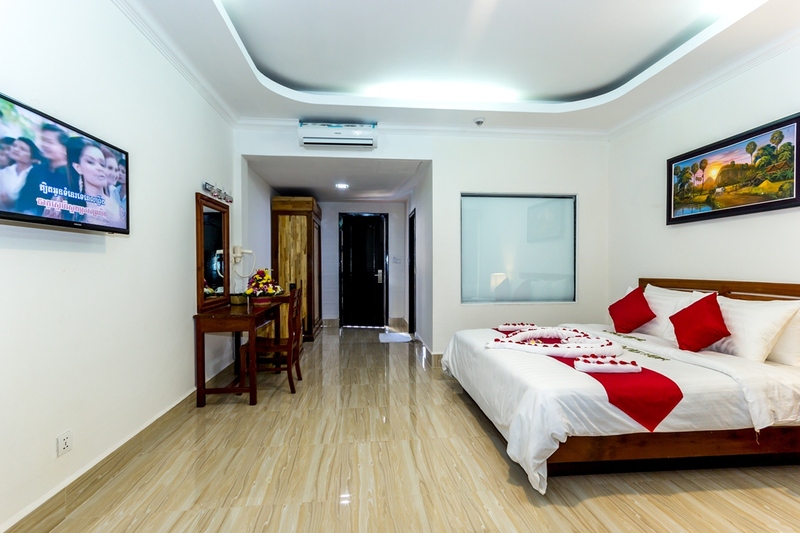 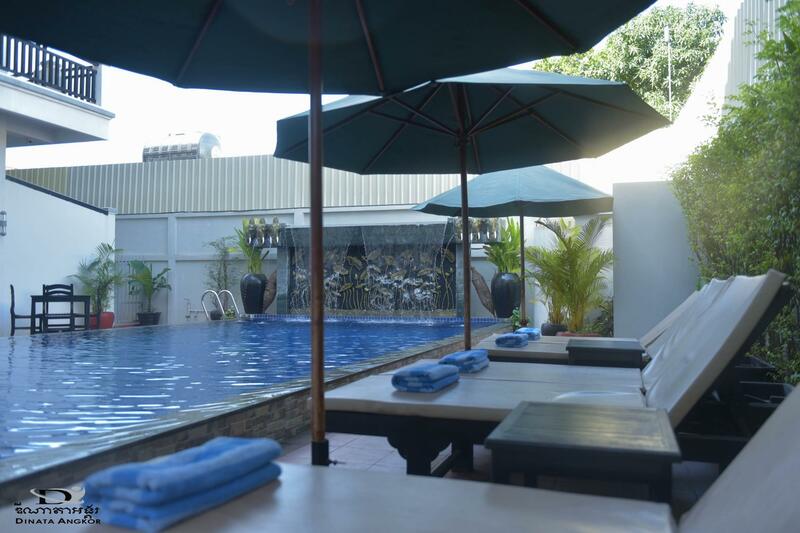 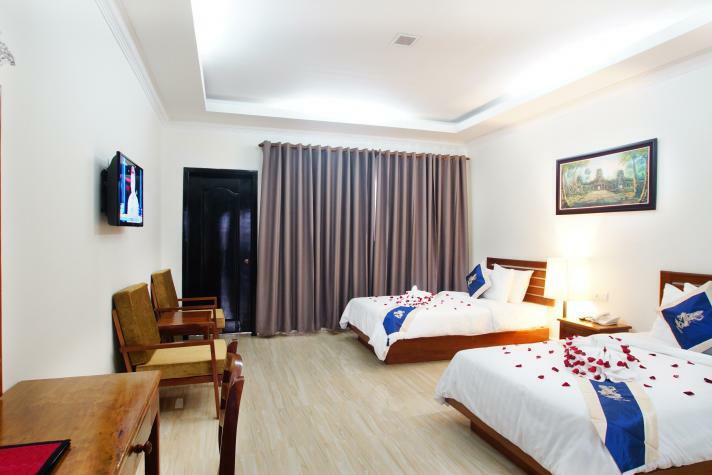 Dinata Angkor is located in the heart of the city, just a short 12 minute walk from the famous Pub Street, Old Market, and Night Market, all of which are well known to Siem Reap's international travellers. 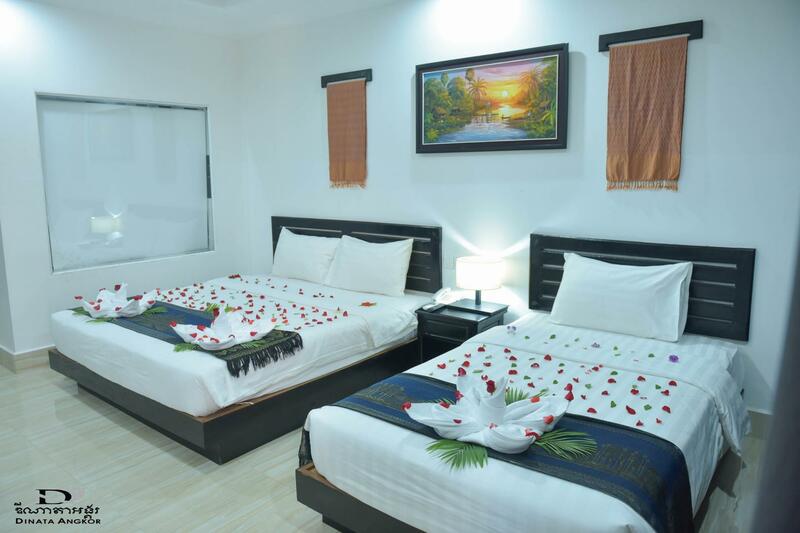 The Old Market and Night Market offer a unique souvenir shopping experience, while Pub Street offers the best in entertainment, delicious foreign and Khmer Food, and vibrant night life. 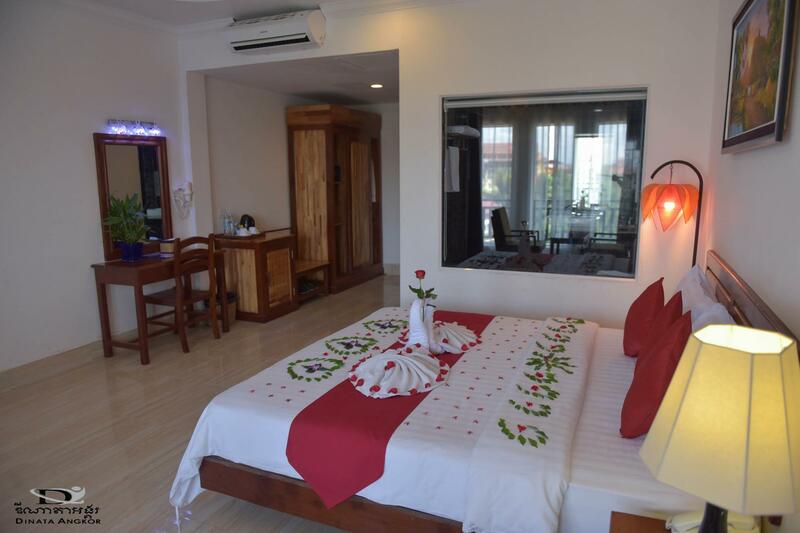 Additionally, we are located within just a few steps to many local restaurants, bars, shops, and attractions. 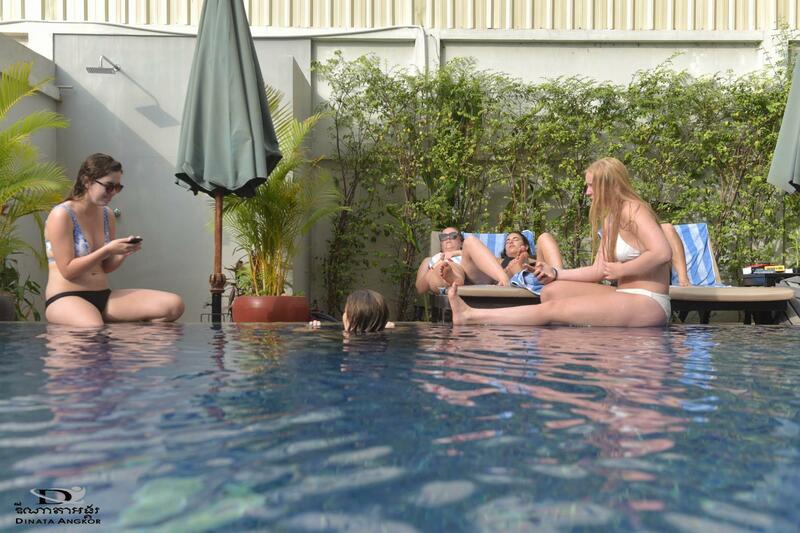 We offer tours, activities, transportation, and recommendations to help you make the most of your visit. 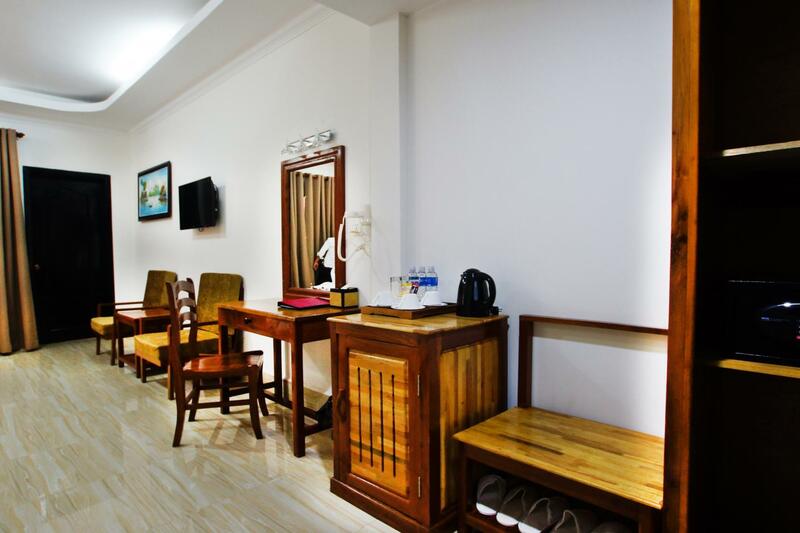 Our helpful staff is always available to assist you during your stay and to ensure that you enjoy your visit to Siem Reap as much as possible. 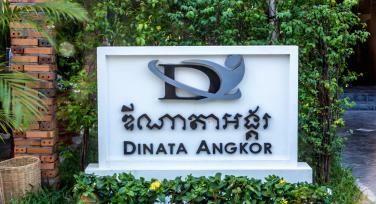 At Dinata Angkor, we warmly welcome you to experience the natural beauty of Cambodia, our enchanting people, and our ancient culture. 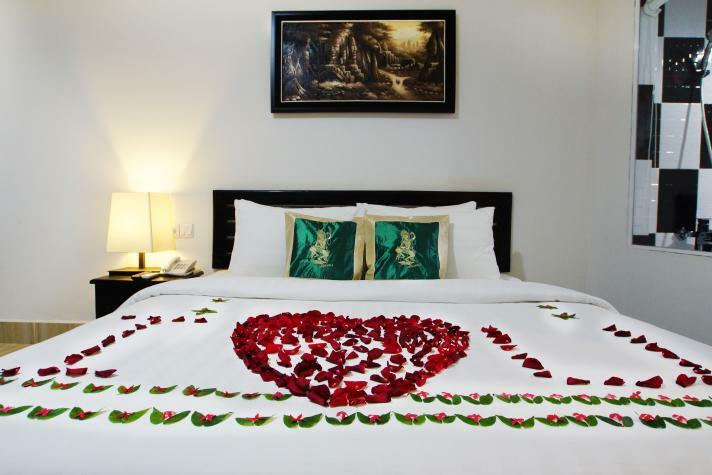 Cambodia: Kingdom of wonder! 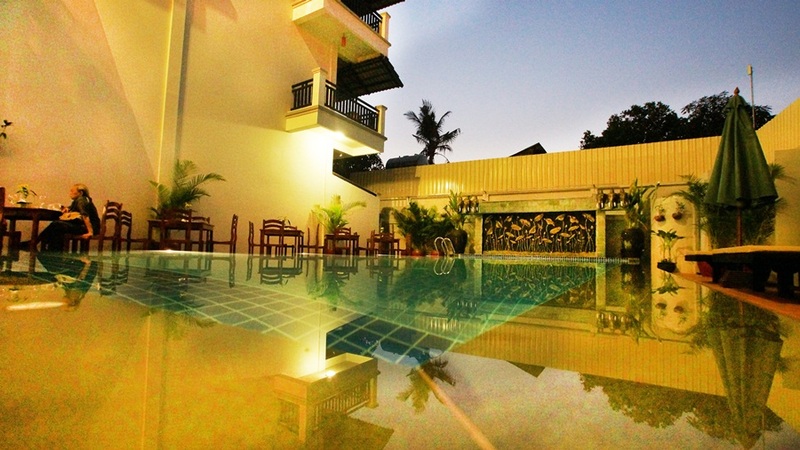 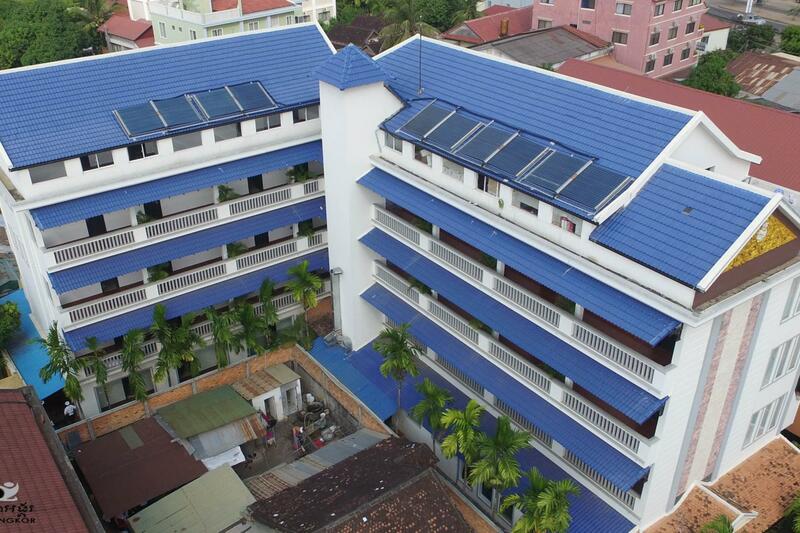 Address: Taphul Road, Svaydangkum Commune, Siem Reap Province. 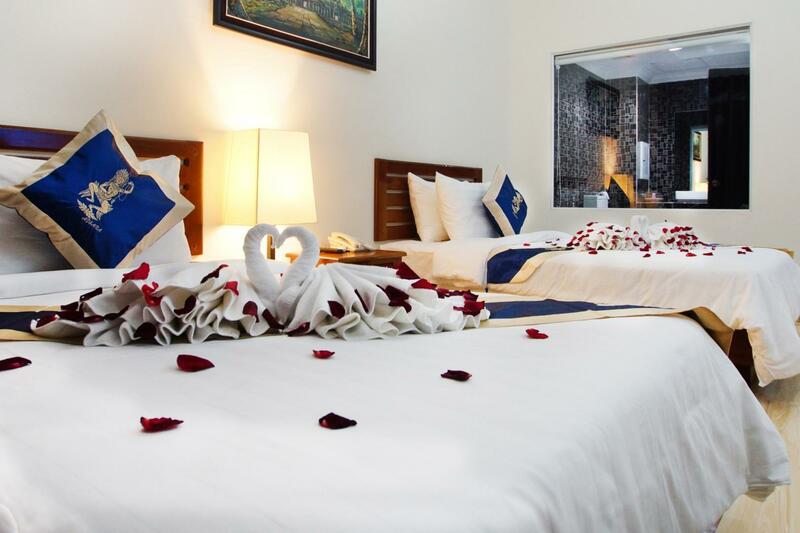 Our Facilities Are Designed To Provide You A Comfortable And Memorable Stay. 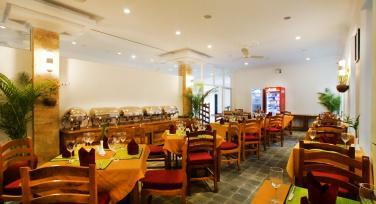 Delicious Buffet Breakfast, Lunch and Dinner Guaranteed To Please! 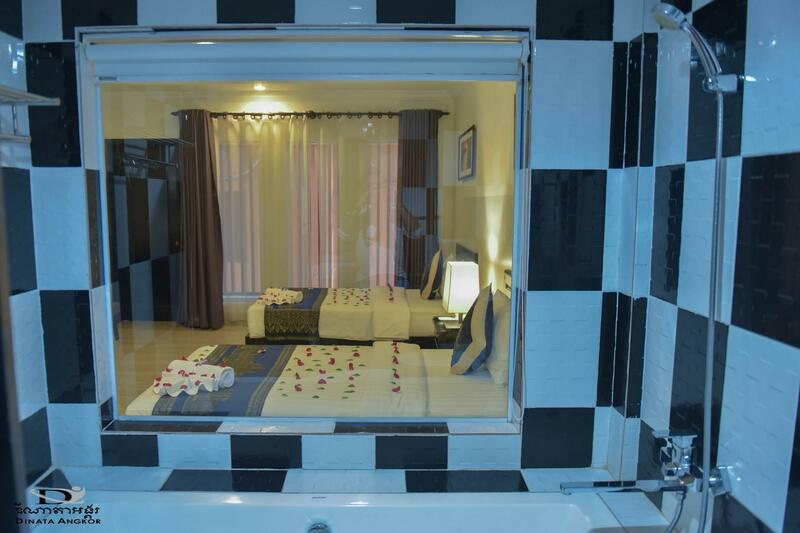 We Offer Many Exciting, Rewarding, And Unforgettable Ways To Enjoy Your Visit!